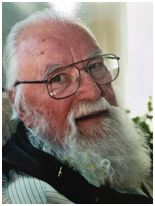 Obituary for Frank Orzelek | J. F. Rice Funeral Home, Inc.
Frank Orzelek 94 of Binghamton, passed November 5th. Frank’s family included : Frank T Orzelek, Sandra (Paul) Zweig, Linda (Dwayne) Porterfield, Rita O'Neil, Fritz Orzelek ( predeceased), Christopher (Tammy) Orzelek, Elizabeth Camp , David (Laura) Orzelek and Jack Orzelek, many grandchildren, great grandchildren, nieces, nephews and friends. He is survived by ex- wife Genevieve Ado-Mai. A special thank you to Bonnie Surowotz and Rosanne Porter who cared for him lovingly and to Ryan Orzelek, his grandson and caregiver. Frank loved coaching little league baseball, fishing, hunting, gambling trips, poker night, the Yankees and going out to eat. He cherished every moment with his “little sweetheart” Jenna Bieber (Orzelek). He was a decorated WW2 veteran. He was awarded two oak leaf clusters for meritorious achievement as a fighter pilot during aerial combat over Germany. On several missions, he was the only one to return. He was an engineer at Universal Instruments for 46 years. He held several patents and was well respected in his field. The family will receive friends at the J.F. Rice Funeral Home , 150 Main St. Johnson City on Saturday November 10, from 9-11 AM.